Hey everyone, thanks for your patience and cooperation. The floors have all been stripped and a brand new coat of wax has been added. The floors are gleaming right now. 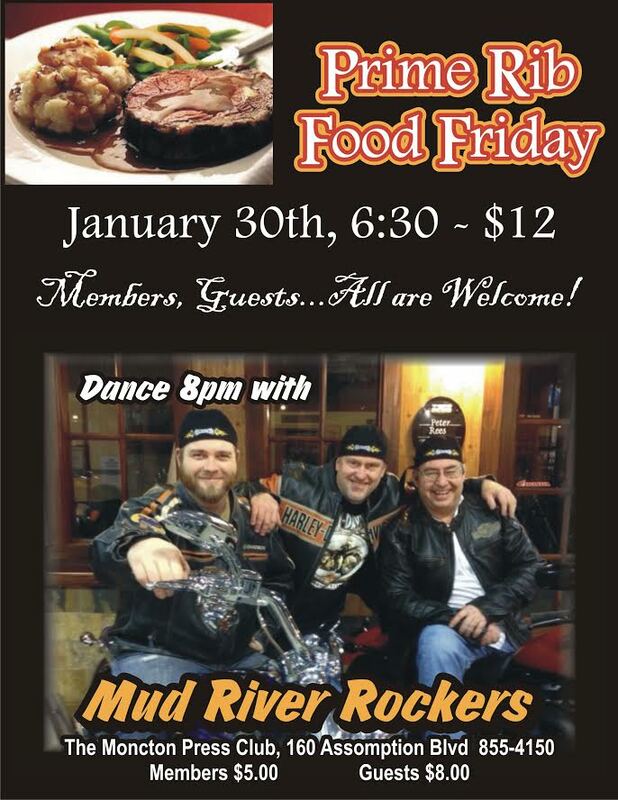 This Friday night the Mud River Rockers are playing at our venue. All you dancers get out on these new floors and dance up a storm. The music will be rockin’! The boys play great tunes. Come and enjoy a great evening. Don’t forget this is Food Friday. Cost for the Prime Rib meal is only $12.00. Support for these nights has been great. Let’s keep ’em comin’. 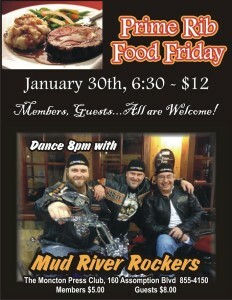 Should be a great time of food, fun, friendship and frivolity. See you there!